User Interface | Multi-touch solution for spherical display. Globus (Erdkugel) is the multi-touch domed (sphere) screen. A number of well-known programs exist for presenting geographical information to the user. Two examples are Google Earth and Microsoft Virtual Earth. Both programs have a client – a presentation component that shows maps to the user, handles user interactions, and requests data from the servers. The servers are maintained by their respective companies and contain vast amounts of geographical data. No client at this time handles all of the presentation and interaction requirements of the Multitouch Earth application, but all of the clients excel in handling geographical data presentation and manipulation. Not to reinvent the wheel, Multitouch Earth utilizes some of the presentation capabilities of the existing programs and can present the data from each map data provider. Current implementation of Multitouch Earth is built on top of standard Earth technology, but the design of the program allows it to use each other Earth functionality instead. 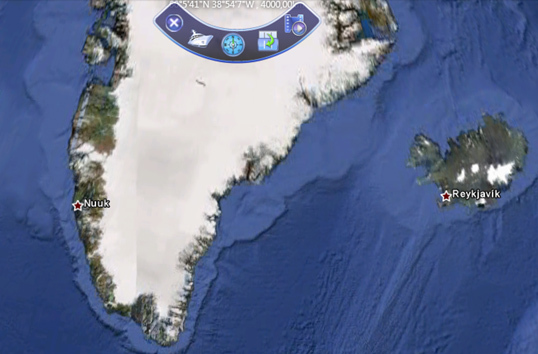 Just like other geographical programs, Multitouch Earth displays a map of Earth. 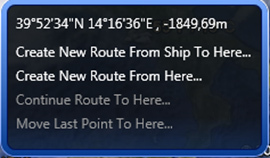 Users can zoom into any place on the map to take a better look or zoom out to view more of the map. When shown on the multi-touch display, the user can control program’s behavior using gestures – specific series of touches that program interprets as a shortcut for the user input. For example, touching display with two fingers and then spreading the fingers while still touching the display will zoom in, while moving the fingers closer together will zoom out. 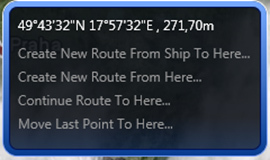 Application menu is located at the top center of the map displayed on the screen. The menu has the following buttons. Selecting “Layers Menu” button in the Application menu shows the layers menu. Touching the screen or clicking right mouse button shows the context menu.